​Jacque will respond to emails each evening. Please don't hesitate to contact Jacque with any questions. You may order a Giclée Print of Jacque's Sold Artwork. Please email me to request what painting and size you would like. Jacque will get back to you usually within one work day. Receive updates on new pieces. Subscribe to Book Updates. Subscribers receive bonuses! Jacque will not sell or share your information with anyone...ever. NO SPAM. I keep your email safe. You may unsubscribe at any time. Type the word UNSUBSCRIBE in the Questions/Subscribe box. Jacque paints commissions on a limited basis as she is working on the book, "Wonderful World" (Romans 1:20). In addition, she manages and distributes the East Central MN Resource Guide, a not-for-profit she founded in 2012 (another God thing). This guide was developed with the desire to help others in their quest for self sufficiency. 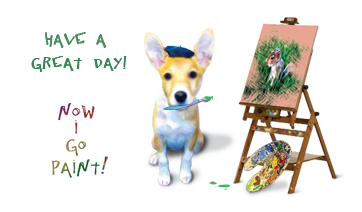 Low cost painting and drawing classes are offered occasionally. Classes are local and will be posted on this website with location and time. What is Jacque's direct email? Does Jacque sign her Original Artwork and Prints? Yes, every painting and print is signed before being shipped. Does Jacque show her work at Art Shows? Jacque is unable to do shows. She sells her Original Artwork and Prints on this website. Where is the Water Lily image from? Jacque photographed the Water Lily at Claude Monet’s Garden in Giverny, France. Jacque, then did some filtering in PhotoShop. Order 12” x 18” Giclée Prints here. I have a question for Jacque. Please don't hesitate to contact the artist above with any questions you may have.